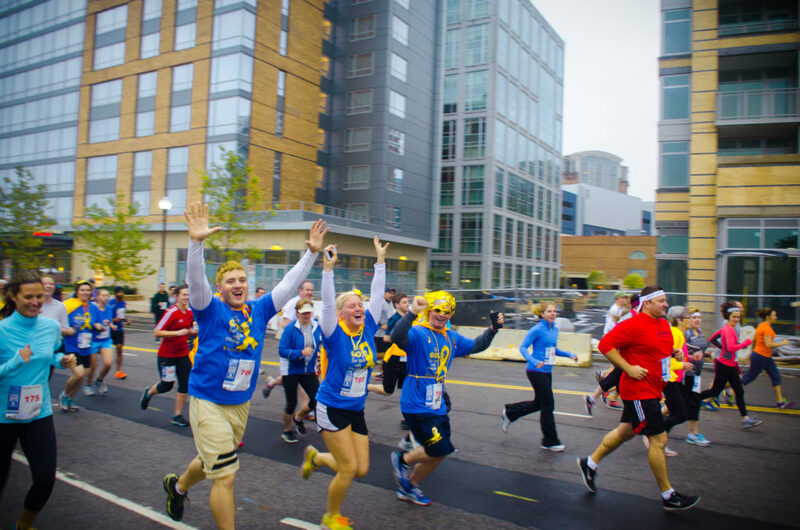 The American Childhood Cancer Organization’s Signature Corporate Events Program offers an easy, fun, and flexible way to incorporate childhood cancer awareness into your unique Cause Marketing strategy. How you implement the program is up to you: host a public event to engage with clients or promote internal team-building within your company. Want to dress up instead of dress down? Host a Go Gold® for Kids with Cancer event or something else altogether-reflecting the values and personality of the organizer while raising awareness and helping kids with cancer at the same time! Are you a collegiate sport team, sorority, running group, choir, or school? ACCO ON CAMPUS is a great way to get plugged into the philanthropy scene! Email Andrea at awright@acco.org for more information on how you can get your college or university involved. The American Childhood Cancer Organization (ACCO) is a non-profit organization that provides FREE RESOURCES to families who have a child diagnosed with cancer, to assist them with making informed treatment decisions during the difficult childhood cancer journey. We can only provide these vital materials through the generosity and support of our community and corporate partners. I am interested in hosting a Corporate Event to benefit the American Childhood Cancer Organization! I am looking for more information about hosting a public awareness event for my community. I am looking for more information about hosting a team building event within my company. I am not sure what kind of event I would like to host. Help! An ACCO representative from the National Office will contact you within 24 hours of your submission. For immediate assistance, call 855-858-2226 ext 101.